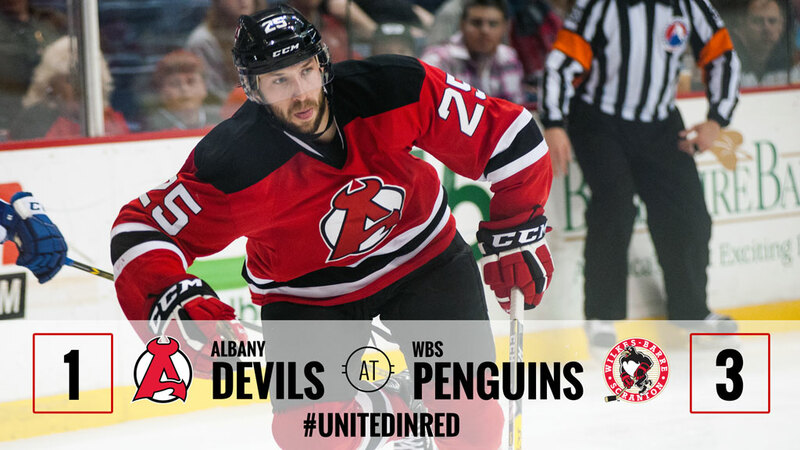 WILKES-BARRE, PA – The Albany Devils historical run to start the 2016-17 campaign has come to an end. 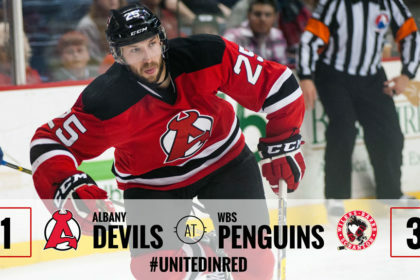 The Wilkes-Barre/Scranton Penguins ended the longest winning streak to start a season in Albany’s AHL history, handing the Devils a 3-1 loss Wednesday at Mohegan Sun Arena. 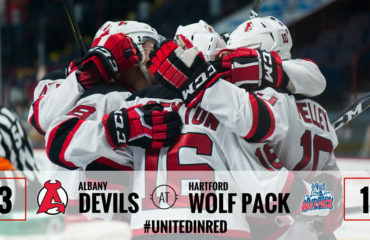 The Devils were the only undefeated team in the AHL entering the contest. They move to 5-1-0-0, while the Penguins improve to 4-1-0-0. Nick Lappin, who had 14 points (8g-6a) in a combined 23 regular season and playoff games last season, registered his first goal of the year. 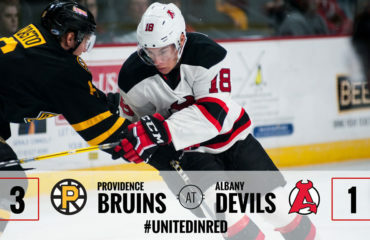 Brian Gibbons and Blake Pietila posted assists, giving both players two points in as many games. Scott Wedgewood logged just under 40 minutes of action, but had what seemed like a full workload. He made 25 saves on 28 shots. Mackenzie Blackwood closed out the game and made all eight saves. For the first time this season, the Devils trailed after the opening period. Wilkes-Barre/Scranton’s Chad Ruhwedel scored during the first half of a Devils’ double minor at 18:10. In the second, Josh Archibald scored shorthanded at 5:46 and Jake Guentzel made it a 3-0 score at 16:45. Gibbons setup the Devils’ goal with a feed from the left half wall, through three Penguin defenders to find Lappin driving hard to the net at 8:05. 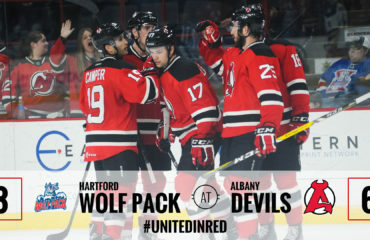 The Devils will try and rebound with a two-game series against the Toronto Marlies Friday (7 pm) and Saturday (5 pm) at Times Union Center. The set is a rematch of the 2016 North Division Final which ended with an epic Game 7 finale.